After scrolling around the mall, my friend and I ended up at The French Baker for a quick dinner. 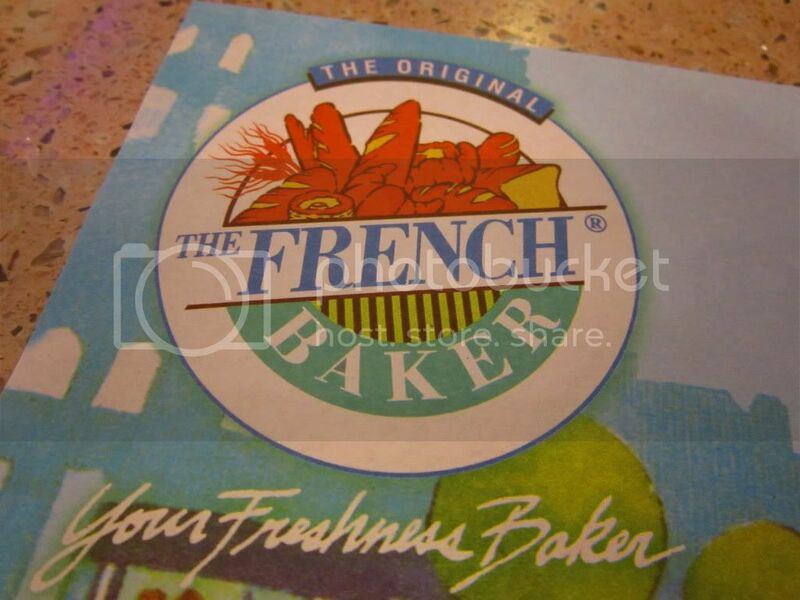 I haven't been to The French Baker for quite a while, what I remember was I used to eat lasagna whenever I go there. 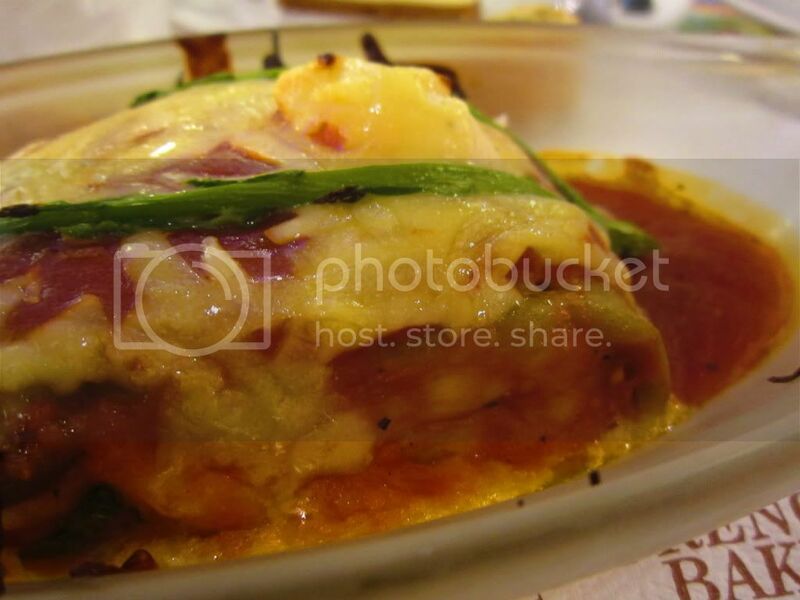 Lasagna Verde is vegetarian spinach lasagna stuffed with layers of mozzarella and roasted vegetables in tomato and sided with grilled foccacia slices or French garlic toast. I think my pasta was a bit burnt on the side but it was fine. I was happy that I chose to have the vegetarian lasagna since I'm not eating enough veggies lately. The serving was a bit small, in my opinion. 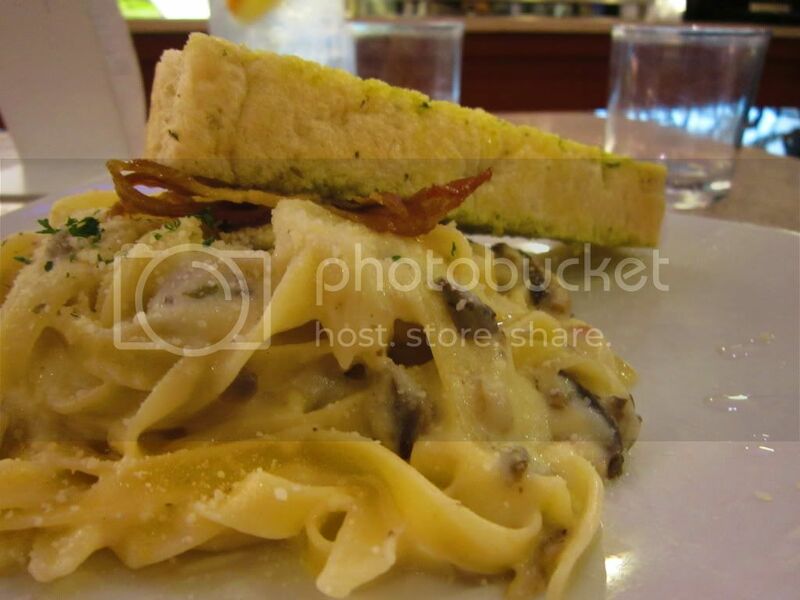 Fettucini alla Carbonara is the traditional white sauce with your choice of white or green spinach pasta. The serving seems small in the large plate. There was nothing unique with the carbonara, though. The cheesecake was looks too good that we wasted no time consuming it. However, the cake is too soft. I think they did not put enough cream cheese on it. Pfft. Overall, I think I would not try pasta again, maybe I have to try the crepe and rice meals if ever I'll go back to The French Baker. Hi Sumi! 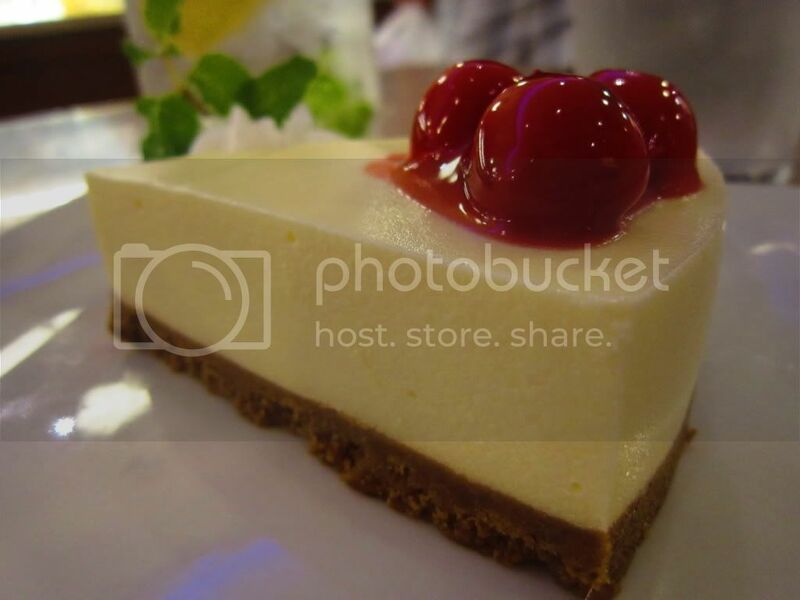 Yeah, the Cheesecake looks so yummy but it was kinda disappointing. I like French Baker's soup on bread, reminds me of San Francisco, tho not exactly like the clam chowder on sourdough bread which is popular at Pier 39, but it's good enough~ I agree that the portions of their pasta dishes are a bit small, but I guess they have to raise their prices if they start serving bigger portions, hehe. Been years since I had a taste of their food. Maybe I'll have my next bite at the French Baker this week. Thanks for this post!